It's the little bugs that bug the most. 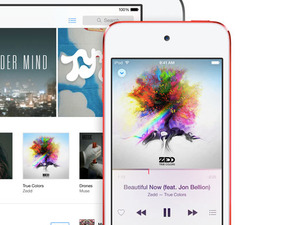 iTunes says your music isn’t available in iCloud Music Library. But sometimes that’s not the case. I recently wrote for this column about problems with iCloud not matching the correct versions of songs. This is a huge source of frustration for music lovers who want their music in the cloud. But iCloud Music Library has other annoyances. One of these is the iCloud Status that you may see in your iTunes library: No Longer Available. Record labels and artists are free to choose whether to allow their music to be available on streaming services. There are still some holdouts: Garth Brooks, Bob Seger, King Crimson, the Traveling Wilburys, Pete Townshend, and others are totally averse to streaming. And some artists only stream their music on certain services, as exclusives. This includes Taylor Swifts’ 1989, Adele’s 25, Kanye West’s The Life of Pablo, most of Prince’s music, and much more. But things get complicated when music that you have added to your iCloud Music Library from Apple Music is pulled. Labels can withdraw the right to stream certain songs and albums at any time, but you won’t be notified. You may see albums and songs in your library, but their titles are a slightly lighter color (depending on the view), and their iCloud status is No Longer Available. It’s understandable that record labels make this decision at times. They may realize that enabling streaming for a certain album leads to lower sales, and the lost revenue isn’t compensated by the meager moneys they get from streaming. But it’s frustrating as a user to find that, for example, one or two songs of an album you’ve been listening to for a while are no longer available to stream. Or that an entire album is missing from your library. 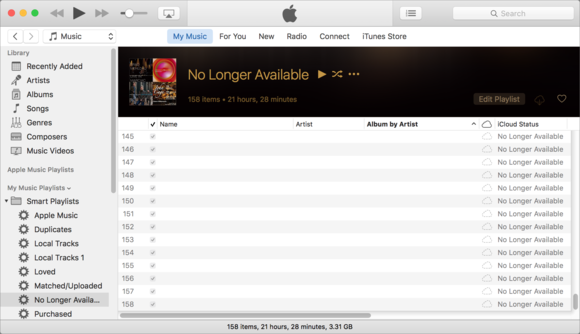 I’ve got 158 tracks in my iTunes library that are No Longer Available. 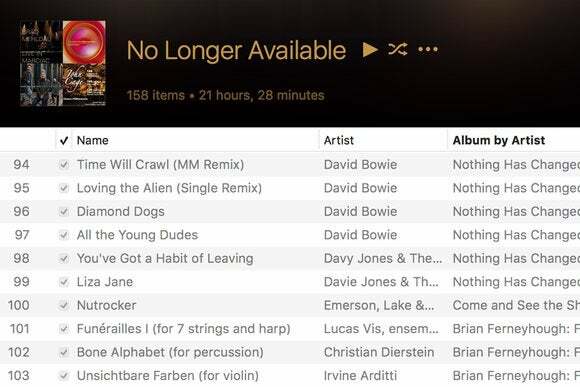 This smart playlist gathers up all your No Longer Available tracks. In most cases, this is little more than an annoyance. But there are certain situations where this availability is an iCloud Music Library problem. 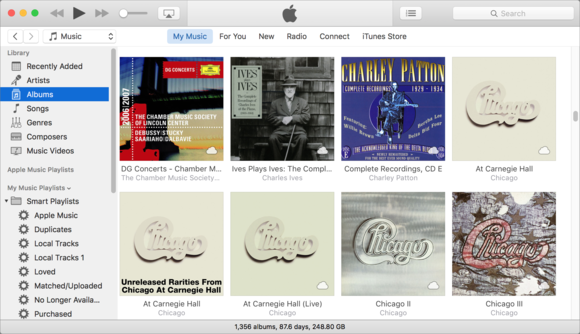 Look at the screenshot below: it’s my iTunes library in Albums view. You’ll see that there are two instances of Chicago’s At Carnegie Hall. This is because the first one I added to my library suddenly became No Longer Available. When I searched for the album, I found it and added it to my library, and the only difference is the addition of (Live) after its title. Somehow, the record label tweaked the name of the album, and it was considered to be a totally different album. If I hadn’t searched Apple Music, I wouldn’t have known that this album, marked No Longer Available, had simply been renamed. I have about 25 of these No Longer Available tracks. I don’t know what songs they were or which albums they were from. I’m at a loss as to what they were, and iTunes is no help. I assume they are tracks that were removed, and that iCloud Music Library somehow deleted all their metadata. As streaming increases, it’s likely that this becomes more common; that record labels do like Disney does with movies, making old albums available to stream, then pulling them to try to drum up sales. Apple could help users by displaying some sort of notification when music in an iCloud Music Library becomes no longer available. In fact, if record labels and artists pull their music from streaming, this could even incite some users to buy these songs and albums if they like them enough. Instead, they become digital driftwood in an iTunes library, just getting in the way.